the first single cut from the koss aka kuniyuki's new album "ancient rain" (mule electronic cd 18). 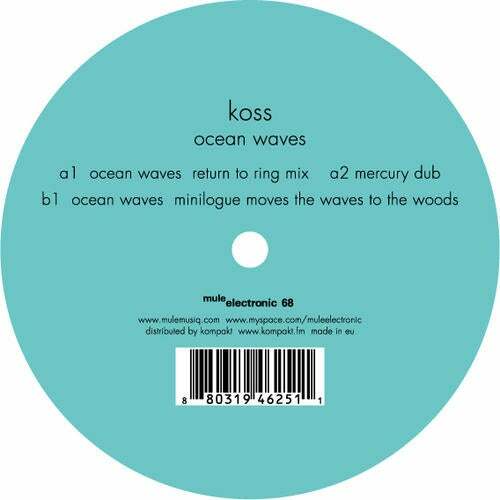 koss's self remix of ocean waves on a1 is a beautiful slow house sound. new track "mercury dub" is a trippy and psychedelic but still sounds organic. this is most club friendly track of koss. highlight of this ep is a swedish duo minilogue remix.they made 4 version. the main long dance version appeared on vinyl. it's hypnotic and groovy. perfect tool for the dark club. other 3 version have the all different faces,you have to check them all! !